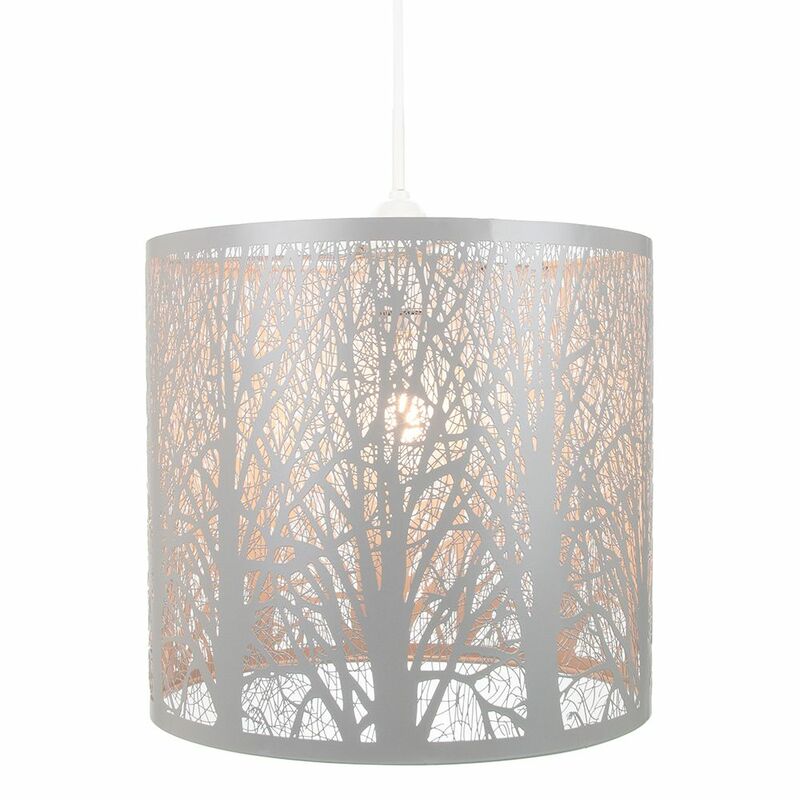 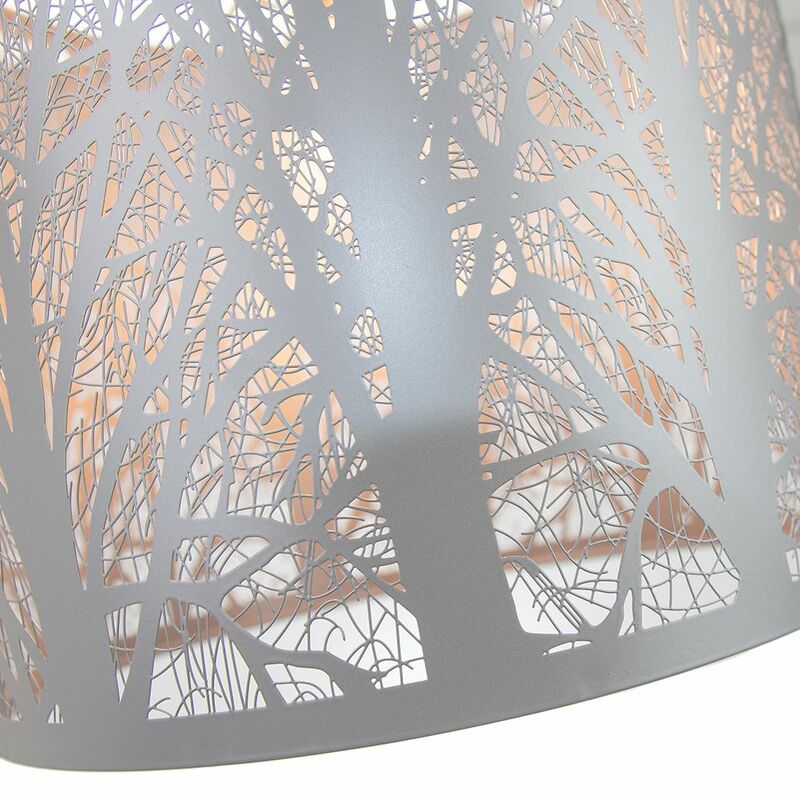 Unique easy-fit pendant shade crafted from metal and finished in a soft grey matt-effect paint, trees and branches stretch around to form this eye-catching piece. 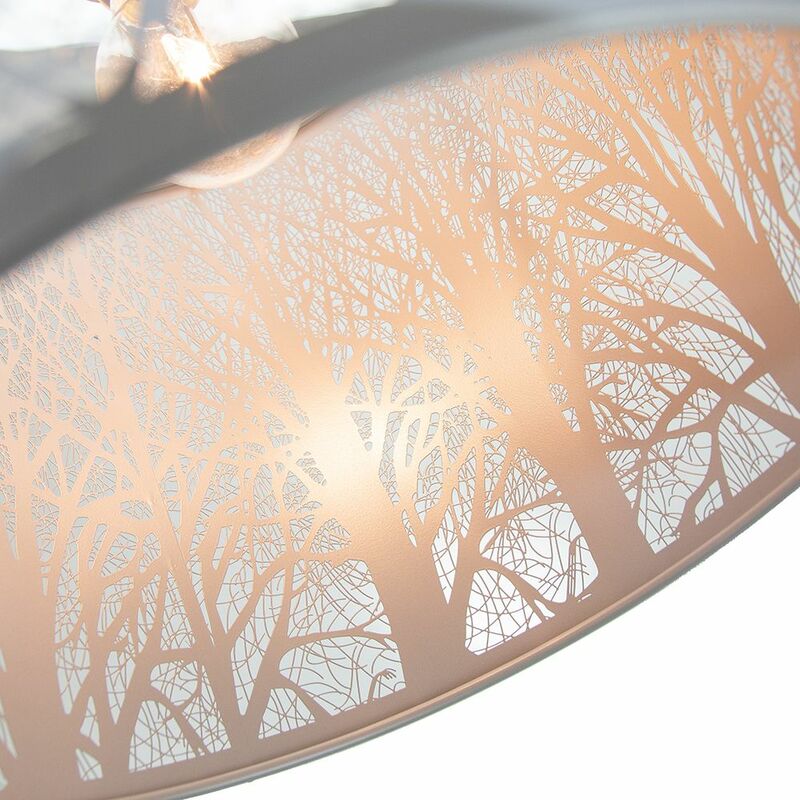 When switched on, the light escapes through the gaps and casts the forest design against the walls and ceiling creating a stunning effect. 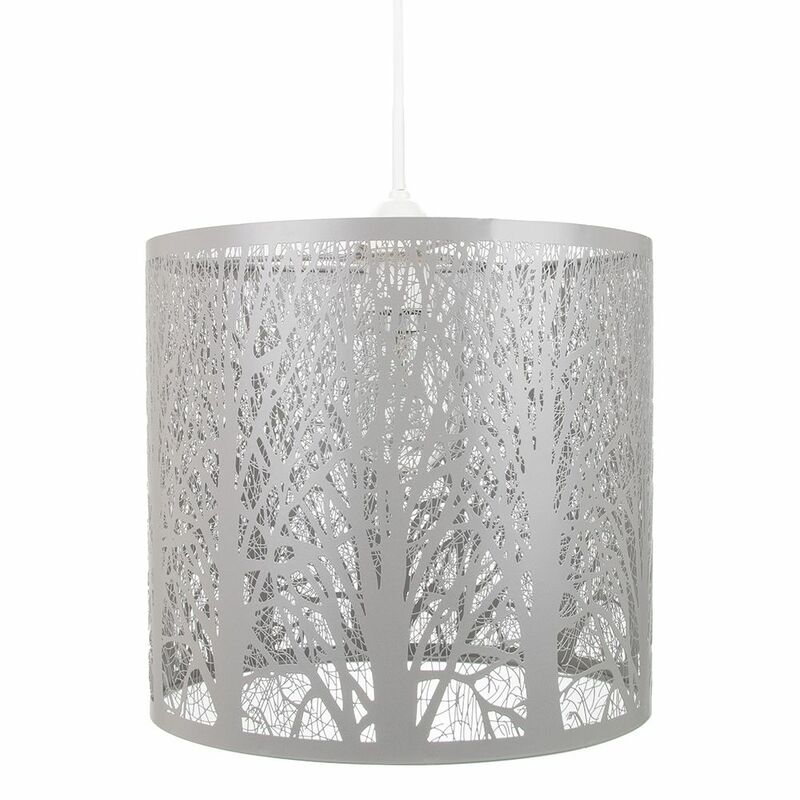 Total product dimensions: Height - 26cm, Width - 26cm, Length - 26cm.